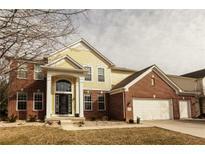 Below you can view all the homes for sale in the East Haven At Noble West subdivision located in Noblesville Indiana. Listings in East Haven At Noble West are updated daily from data we receive from the Indianapolis multiple listing service. To learn more about any of these homes or to receive custom notifications when a new property is listed for sale in East Haven At Noble West, give us a call at 317 979 0009. Over $10K+ Improvements: NEW H20 Softnr & Whole House Filter, AC, water heater & Washer; Dimmable Can Lights in MB, Great room., Office; & Fresh Ext Front Paint & Deck Stain. MLS#21628497. 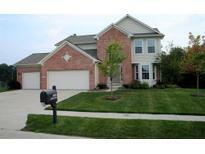 Keller Williams Indy Metro NE. House was a a former model with tons of upgrades including irrigation system, trim package, in ceiling speakers, and vaulted master suite. Move in ready. MLS#21628663. Paradigm Realty Solutions. This is a cream puff! Show with confidence MLS#21626643. RE/MAX Ability Plus. This one is a must see! MLS#21626481. CENTURY 21 Scheetz.